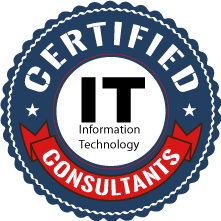 About ECI - eConsultants, Inc.
eConsultants Inc. (ECI), is a Veteran own small business that provides business-oriented solutions to information security problems by aligning the complexities of governance, risk, and compliance with organizational goals. Founded in 2000, ECI, has delivered innovative technical, audit, and advisory services to the various US and international governmental organizations. Our mission is to provide clients with the knowledge and expertise to make risk-based decisions regarding regulatory compliance and information security and assurance. Copyright 2018 eConsultants, Inc - All rights reserved.